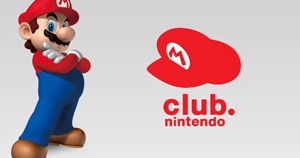 If you have not joined Club Nintendo, you should as Nintendo is basically going to give you stuff for free. And free is good. Especially when you get something with higher quality. Somewhat similar to Xbox Live Rewards, Club Nintendo rewards consumers for buying eligible Nintendo prodcuts: hardware, disc-based games, and downloadable titles on Wii, DSi and 3DS. Let’s face it, you are going to buy Skyward Sword, you are going to buy new 3DS hardware, and you are going to download a game or two. So why not get rewarded for doing something you are going to do anyway? I am not going to explains how the system works because you can read all about it here but I definitely have an opinion about this program. First off, I am a fan of this program. I just want to make that very clear. I just wish it actually started sooner. Japan has had a similar Nintendo reward program well before it came to the States so US gamers should be thankful for having this generous program. Again, it’s free. 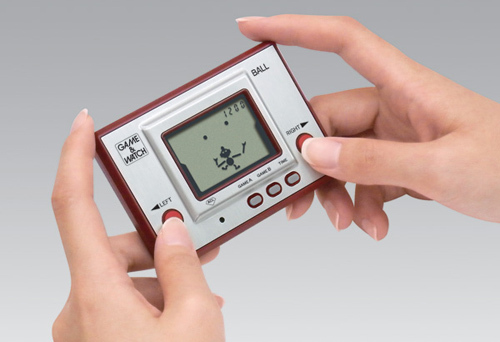 The prime Club Nintendo “prizes” are the recreated Game & Watch Ball hardware and the Game & Watch gallery DS games. As a lifelong Nintendo fan, I appreciate Nintendo going the extra yard to develop these exclusive collectables. To me, I would much rather own these than lame Nintendo fans and shoelaces. Starting just a couple months ago, Nintendo announced that Wii and DS/3DS downloadable content will be available as Club Nintendo prizes. The cool part about this program is that Nintendo selects a few different titles each month, providing incentive to keep coming back and to keep earning those coveted coins. Although still new, eligible downloadable content has solely been first party titles. While I definitely appreciate downloading a free WiiWare Dr. Mario and Majora’s Mask, I am really hoping the doors to blow open for these new downloadable products. Nintendo seems to be starting small by offering some of their lesser known games first. 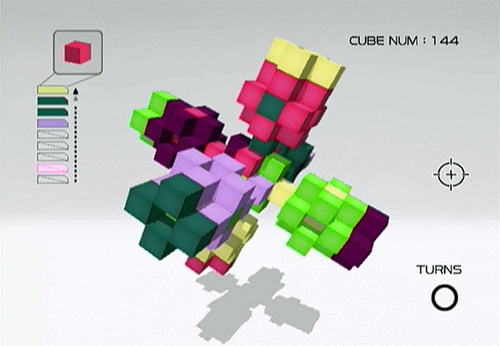 For March 2012, Nintendo is offering Art Style: CUBELLO (WiiWare), Mario Picross (GB), and Radar Mission (GB) in exchange for Club Nintendo coins. Does anyone care of those Art Style games? Eh, not so much. Mario Picross is probably the best game in this lot but with Picross 3D available to DS owners for a while now, this original GB game will probably get overlooked too. And 3DS owners are probably more interested in Steel Diver than Radar Mission (even though Steel Diver isn’t really anything to get excited about). I don’t want to sound like I am complaining too much here and again I am thankful for this program, but I am really hoping that Nintendo allows some 3rd party games to shine through this system. For example, let’s look at Konami. 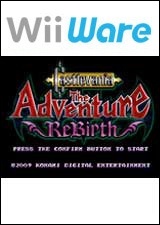 Konami has supported the unpopular WiiWare service with Castlevania: The Adventure Rebirth, a reimagining of the class GB title, Contra: Rebirth, a new chapter in the Contra series featuring local co-op play, and even Gradius Rebirth, a new twist on the fan favorite series. 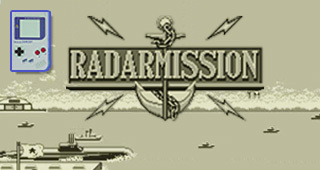 Capcom released three Phoenix Wright titles on WiiWare, Gaijin Games has made a name for themselves by releasing numerous Bit.Trip games, and even Hudson Soft released a new Adventure Island game as well as the wonderful Tetris Party. Have these games received the recognition that they deserve? Yeah, probably not. And it is a shame. The point is there are some great sleeper hits on WiiWare and now is their time to receive some love. With the Wii U scheduled to launch sometime later this year, the Wii hardware is going through a decline of interest. So why not try and spark a few last gasps of air before the system is retired by offering some of these neglected WiiWare titles to Club Nintendo members? Would I trade in 100-150 coins for a Castlevania: Rebirth? Absolutely. Would I trade in 100 coins for CUBELLO? Not so much. Let’s get the right games for the program. Sure, these 3rd party developers might not receive monetary commission for giving away their games, but honestly, are players paying for the full download of these games away? Might as well give away a game or two to create some hype and maybe earn a sale from that friend who mentions it to another friend a month from now, right? 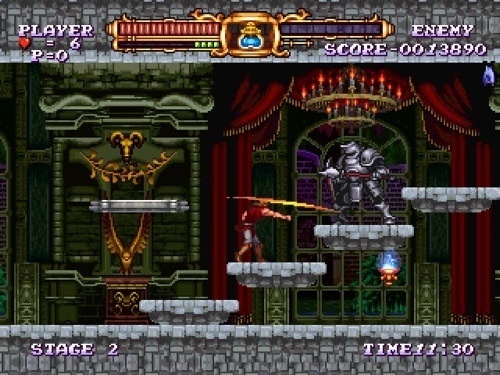 The publicity behind giving away, say that Castlevania: Rebirth, could even work to Konami’s advantage because maybe that Rebirth downloader will then look into the Castlevania games that are available for XBLA, and Konami can earn an XBLA sale by creating a new fan originating on Wii. Yeah, it might be a long shot, but I could be worth the chance since I doubt the WiiWare service is receiving the desired sales figures anyway. Undoubtedly, the PSN and XBLA have completely hidden the WiiWare service in a large shadow. But in its fading moments, let’s step into the light and get people excited about holding a Wii Remote again with content that gamers have not yet seen. Sure, I am looking forward to hoping getting a free download for the Excitebike on WiiWare, but opening the program to 3rd party games is just one more reason to keep the dust off gamers’ Wiis. Now if you’ll excuse me, I need to take a few more surveys and store my coins for that quality title that might pop up next month.